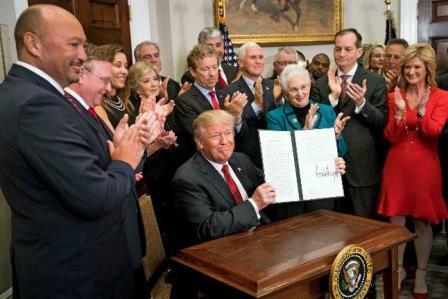 President Donald Trump signed an Executive Order on October 12 directing federal agencies to study health care regulation changes that would allow membership organizations to sponsor health care plans – referred to as “Association Health Plans” (AHPs) – even across state lines, something that until now has been prohibited. For years, the National Association of REALTORS® has supported legislation that would enable the creation of these AHPs, as well as other efforts to expand health insurance options for REALTORS®. Andrew Bremberg, White House domestic policy director, acknowledged President Trump’s order could affect tens of millions of Americans and said the administration also intends to take “additional actions” on health care in the months to come. So, while not quite ‘take (2) aspirin and call me in the morning,’ we will learn in the weeks (and months) ahead what the ultimate impact this will have on health care options for REALTORS®. Stay tuned. We will provide updates as they occur. Click the links below for additional background & stories. In the meantime, if you have concerns about your own health care coverage, click the following link to learn more about the REALTORS® Insurance Marketplace. Provided as a Government Affairs service of the Cincinnati Area Board of REALTORS®.